Coffee doesn't get in there and make you smart, it actually makes you stupid. If used intelligently as part of a network of things, it can be a powerful pick me up- but 99% of the people who enjoy coffee, abuse it and thus suffer needlessly. 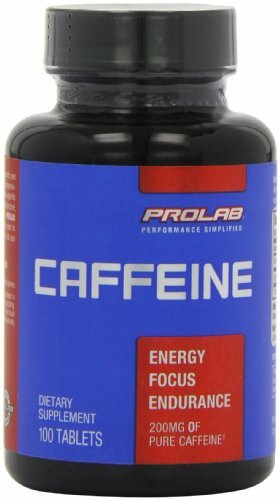 They try to use coffee as the ONLY supplement for energy and thus take in too much and fail. It's short term burst comes at a price but used intelligently it can be the "on ramp" to the other concepts such as smart drugs. Why You Should Avoid Caffeine. 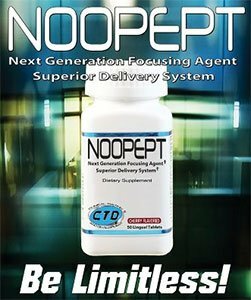 One thing that helps you recover from caffeine overdose is Inositol. It's one of the things the body uses up quickly when you drink a lot of caffeine. Choline is another. They make a supplement with both in it 50/50 (what I take to counter effects of energy drinks and coffee). Cell Guard(TM) is a combination of potent antioxidants and other vital nutrients, to enrich and protect the micronutritional environment of your cells. Many mistakenly think when your more alert and can actually multitask without thinking about it that your smarter but in reality your just able to use your power more efficiently. What you may not know is that caffeine does this simply by removing the body's own ability to regulate your energy, thinking, and safety parameters. It removes the breaks to put it bluntly- by andosine receptors being hijacked by a simularly shaped molecule caffeine. With Caffeine in those receptors andosine cannot get in there and stimulate "breaking" actions so your energy isn't just "used up" your body isn't "overtaxed" and your generally making the most (safely) effective use of your chemestry at any given time! Many don't realize or mistakenly think that the "energy" you get, the "clarity" you feel, the "focus" you achieve when you drink coffee is NOT BEING ADDED by the caffeine. like a gun man would if he walked into your home and held your family hostage. When the gunman left or was subdued, that anxiety you felt would wear you out- it was stimulated as a fight or flight response but the gunman didn't hand you that anxiety- he stimulated your body to move it's own supply of chemicals like Adrenalin into play thus using them up! Then when all your feel good, energy, chemicals are burned out because nothing stopped your body from using them up- Your screwed. This is akin to a bank robbery (caffeine's actions in your brain/body). The tellers (Adenosine receptors or regulation receptors) who regulate the money (body's chemicals and neurotransmitters (endorphins, dopamine etc...) in and out to sustain the banks ability to profit (maintain your health while optimizing your current body state/nutrition state's resources to allow you to do the most with what you have) and people the ability to store their money and retrieve it (neuro-chemicals ability to work it's magic)- are subdued and the robbers (caffeine molecules) take over. They get in the vault and steal the money they didn't earn and the tellers or bank manager cannot stop them without risking injury. The irony is that in the actual brain scenario- when the bank tellers don't move the money around (the dopamine etc...) the money is in danger of being broken down (dissolved) by the brains MAO enzymes! It's like someone has asthma and the robbers won't give them an inhaler! The robbers will then spend that stolen money unregulated by the monetary system (earn it, distribute it, governed by laws designed to protect people and make money fair) which is like making and spending counterfeit currency- the same disruption to the value of the chemical currency in your body happens! You, thinking you want that energy at any cost, push yourself with no safety boundaries in place. What you think is a gift from the coffee gods is actually a robbery in progress that you'll only realize when you get home and see your house turned upside down and your "valuables" stolen. This is the crash you love so much, or do you? Most people don't even care, they rationalize that the energy was worth it but don't realize the real extent of the damage is lower serotonin, dopamine, and endorphin production, exerted adrenal glands, and more than just an uphill battle to recover. This can be felt after weeks of overexertion when you can't wake up in the morning without being exhausted, work during the day without a 5 hour energy shot or more coffee (both that increase the problem), or can't think clearly even with these things. These are also caffeine alternatives! Your body regulates this damage by down regulating your feel good neurotransmitter chemicals! It's effect can take weeks to recover- but many just drink more coffee. This is no better than an alcoholic covering up the pain of a hangover with more alcohol! Serotonin for one regulates 15 sub-classes of receptors in the brain and body including muscle control (dopamine also helps with this), repairs, and much more- you don't just lose "feel good" benefits when these are down regulated. You lose function, and start running into corners, walls you know are there, sliding glass doors, and more- because you can't think clearly. If you drink more coffee at this point your only putting frustration on fast forward. Like a drunk driver. What's worse, your muscles you "expect" to avoid obstacles automatically- which it does normally without thinking about them- are in jeopardy, diminished capacity and stubbing your toe is not an accident- it's the brain, body, muscles, all not being able to sync up or coordinate! I call this effect part of the poltergeist effect. 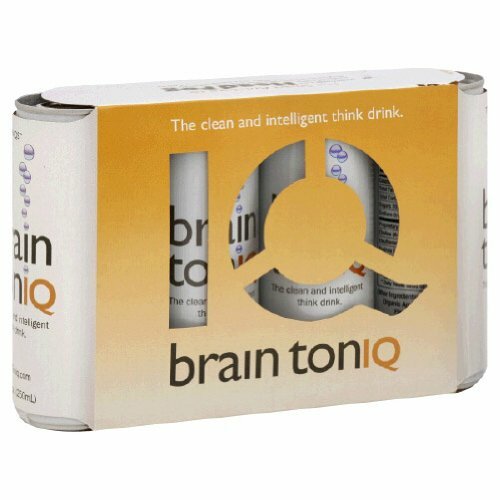 In the brain their is no (FDIC) insurance other than the intake of more foods containing rich amounts of nutrients- and with today's diet, today's tarnished foods, most people don't get enough nutrition to recover/recoup from the damage which causes MORE damage as the body can't do it's basic jobs. Your body is a survivor of your own personal "Sandy" hurricane. Do you see how we damage our energy and brain chemicals in layers and layers until our entire life is hard to manage? If your body is in trauma your thinking and coordination subsequently is in trauma. Smart drugs work great if you use them right and in the right doses, but if you have no idea what your doing- the simplest, but powerful, and most popular one- coffee- can be life changing madness incarnate. The "crash" caffeine causes is not an instant cause but rather an "effect" of the caffeine molecules breaking up and being absorbed by the body and the rightful "tellers" the Andosine molecules having access again to those receptors to regulate the body. What happens is the body is depleted of it's chemical "funds" and Andosine sees this and immediately puts on the breaks like a freight train about to crash or derail. To protect your body. Your tired because you already spent the chemical money! You may in early stages of caffeine bell curves be able to eat amino acid rich foods or supplements to replenish the lost currency but in the later stages (few days of heavy coffee drinking) it's not that simple because they body will have already lowered the amount of receptors available to process those chemicals (down regulation is a protective mechanism)! If it goes on too long the very money generating chemicals slow down to avoid being destroyed when they can't plug into a receptor caffeine receptors are hijacking (MAO enzymes job is to reduce unused neurotransmitters as would they be floating there too long between the brain cells). At first the dopamine etc... will be floating around, getting dissolved by the MAO enzymes and the body will replicate more from your foods (if you get in some healthy nutrient rich foods), but eventually the body will see that all those extra chemicals it's creating are simply being destroyed, a blood bath really, it will stop sending in troops and down regulate so your body's nutrients can be used for other things instead.. This is why it's hard to recover when you overdo it too long. This means "recovery" from a caffeine crash is HARDER. Drinking more coffee may return you to energy in the early stages but too much coffee depletes too much and won't work, in fact it's going to hurt you more, make you more tired. Not realizing HOW COFFEE WORKS makes it dangerous to your body, energy, and abuse more likely! Two weeks of no caffeine will re-instate your receptors, your body's faith in producing them in bulk, and drinking a coffee will have again a full effect- but don't be bad and return to old habits! your own will power being unencumbered, getting smarter is a side effect you will likely enjoy immensely. 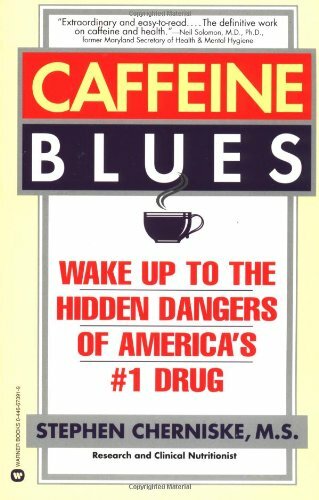 Smart drugs don't act on the body/brain like caffeine, they enhance and support the body's own mechanisms intelligently not in a criminal fashion like caffeine. They don't hijack the energy and give your lower-self (that part of yourself that does things knowing it will hurt you but not caring about the consequences) the steering wheel and CEO functions that are given to higher functioning brain regions (like the andosine receptors) for a reason! In the next article in this series we'll go over how smart drugs work exactly and how the work in the complete opposite that caffeine does. 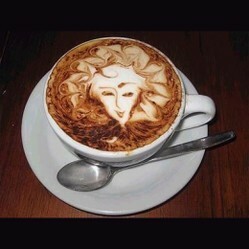 Caffeine tends to hijack the power and you use it illegally leaving the body in bad shape. Smart drugs HELP the body and create raw materials the body knows how to use to convert it into energy, new cells, more brain cells, more everything! 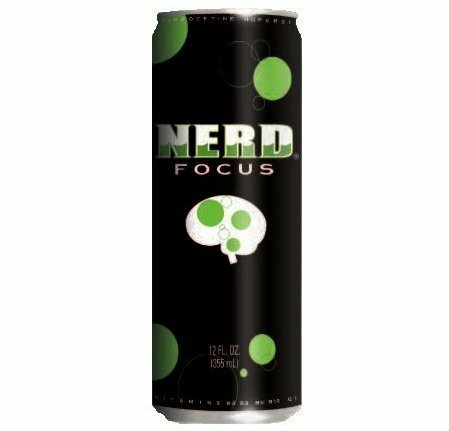 Nerd Focus is an energy drink fused with 4 smart drugs- Brain ToniQ Is 100% smart drugs- no caffeine! yes coffee is one of the drug which make the people addicted for this one. But it is also make some common side effects such as heart problems.